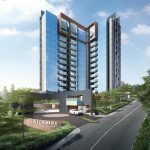 The Park Colonial is a unique new condominium development beside Woodleigh MRT station, in the heart of Bidadari Estate. Its design draws its inspiration from the stately old colonial homes of Woodleigh Park. The architecture is modern and efficient. But woven through it, are touches evocative of a slower paced, more gracious era. This is especially so in the hotel-like grand entrance, flowing onto the garden courtyard with its big trees, and its colonial style clubhouse. 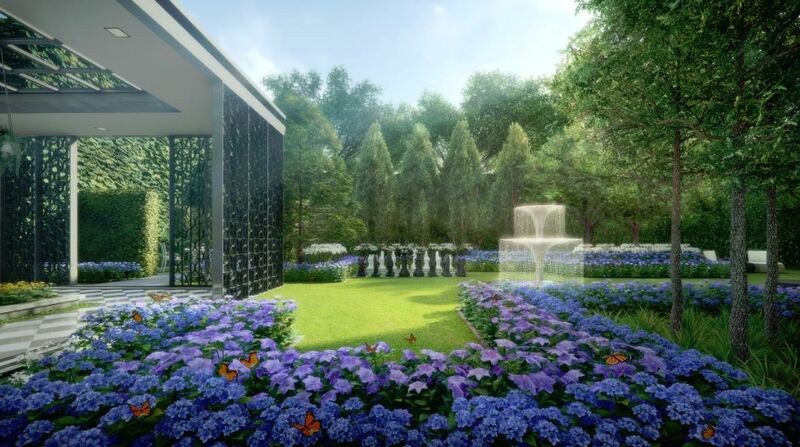 The landscape design of the Park Colonial condominium is absolutely beautiful – a delight to the eye and senses. It is created on a luxurious scale, with an untouched, natural feel; like walking through a private garden. Its clubhouse reinforces that hint of grandeur, with its 9 metre high ceilings, signature trellis, and venetian articulations. Function rooms at Park Colonial condo can be combined into one grand, big room. The 50m lap pool is cantilevered, with a 40m vista view, like those in high-end resort hotels. 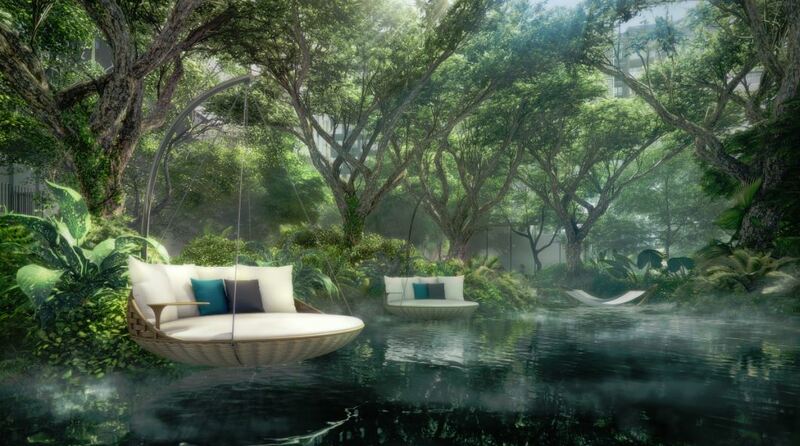 This is a “home in a garden”; a theme that echoes the “community in a garden” concept of Bidadari. 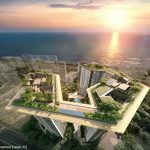 Park Colonial is being launched for sale in mid 2018 by a joint venture of CEL Development and Unique Real Estate. 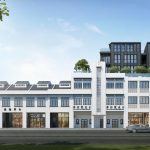 The Park Colonial condo at Woodleigh Lane, occupies one of the most convenient locations in the very popular new Bidadari estate, beside Woodleigh MRT station. 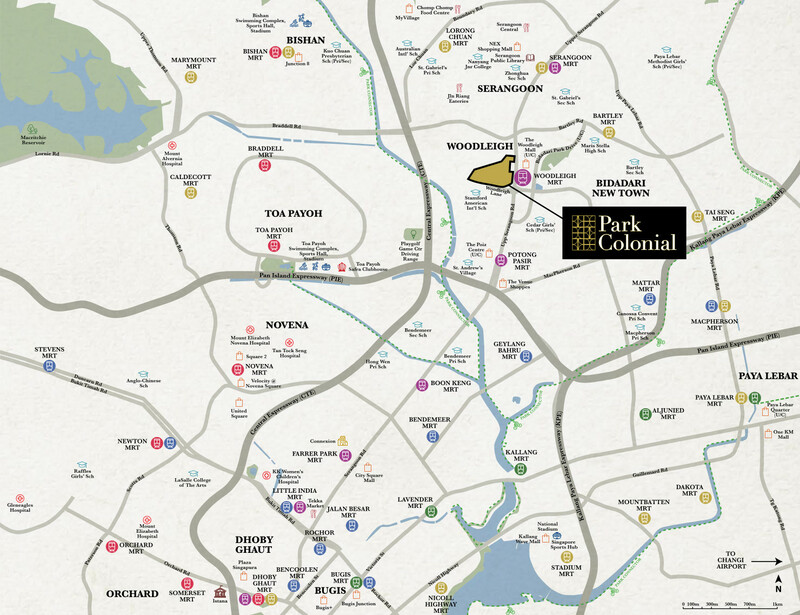 Park Colonial is a pure residential project, but linked to the Woodleigh mall via the underpass to the MRT station. So if you want a quieter place away from crowds, but with immediate access to a mall and MRT station, then Park Colonial condo could be the place for you. 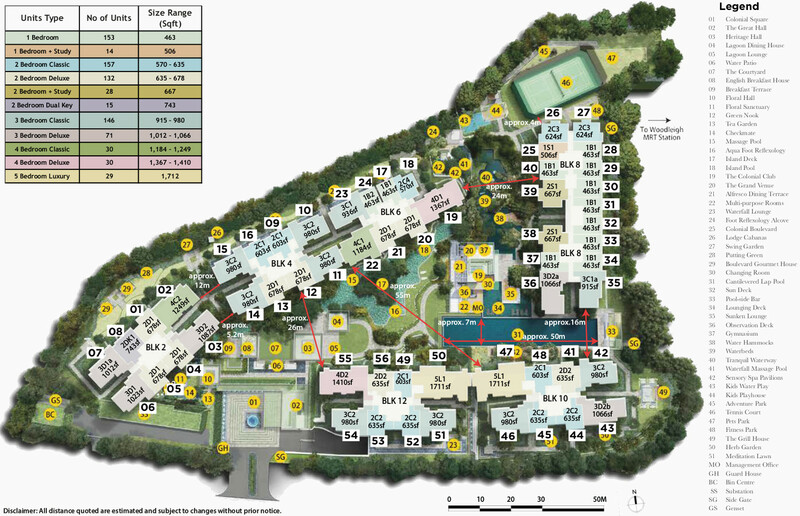 In addition, the site of the Park Colonial condo is in an established residential estate, surrounded by private condominiums and landed housing, and the Stanford American International School. A number of units here will get pocket unblocked views over the greenery and landed houses. This URA land sale site was keenly contested. 15 bidders took part in the tender, with CEL & Unique’s top bid of S$700.7 million just 0.8% higher than the second placed contender. In fact the top 4 bids were neck-to-neck, within a tight 3.6 per cent range. 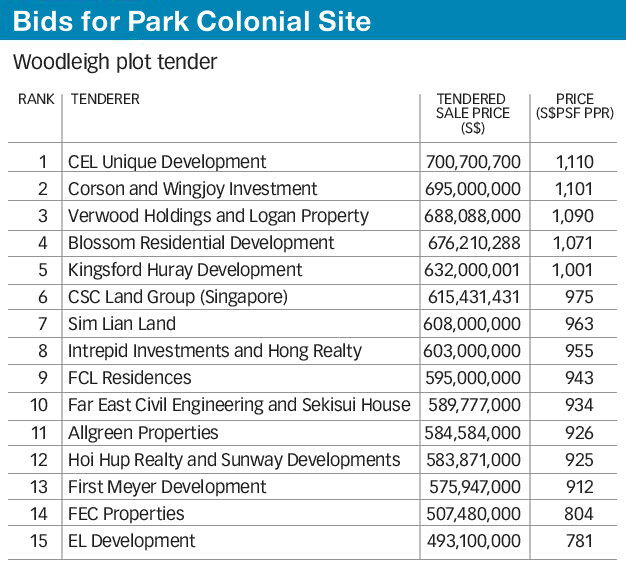 And the top 5 bids all came in at above SGD$1,000 per square foot per plat ratio (PSF PPR). 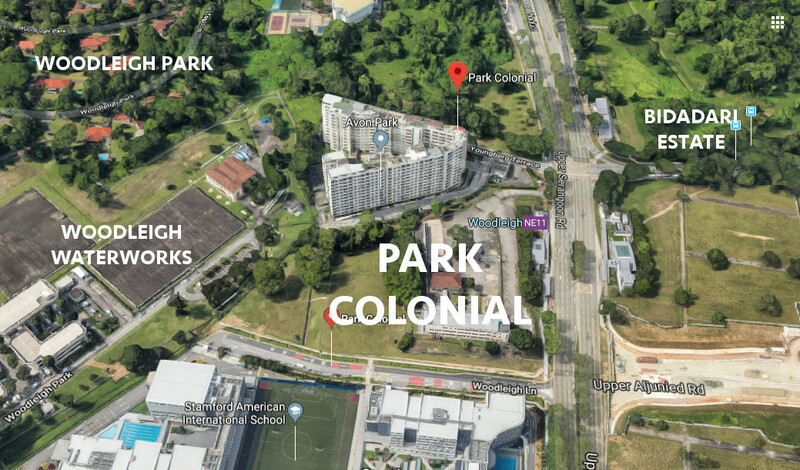 The aggressive bidding – with so many offers exceeding expectation – for the Park Colonial parcel was driven by the developers’ determination to secure what is seen as a plum site at the attractive Bidadari estate, in a rising market. 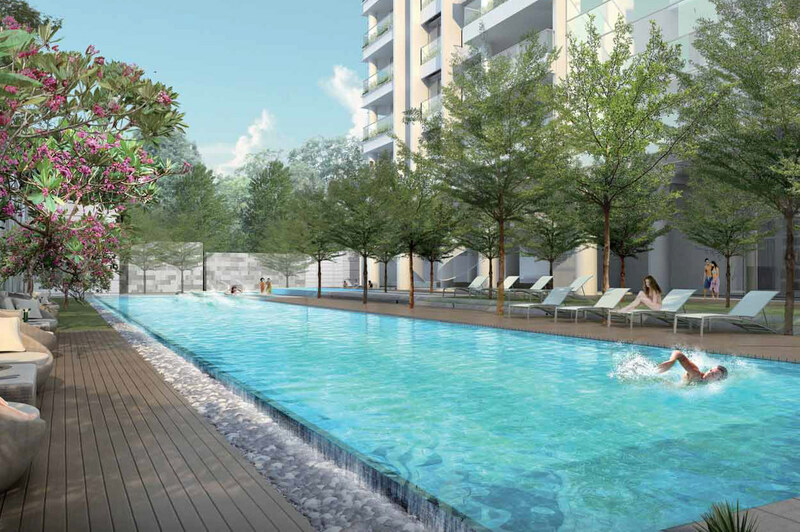 The Park Colonial condo location is on the edge of Bidadari Estate. 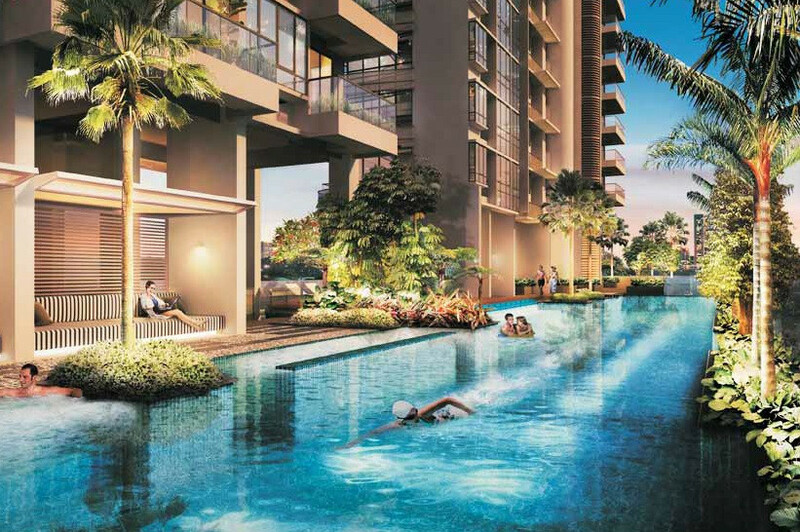 It will get to enjoy all the amenities that Bidadari offers, being only a couple of minutes walk across from it. 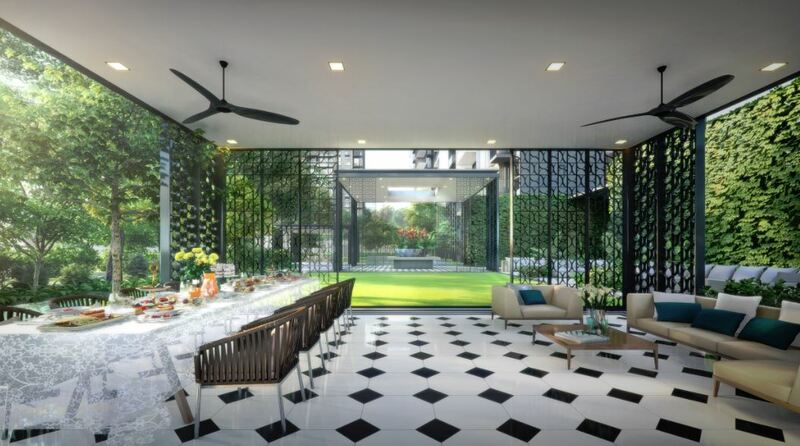 Bidadari Estate is often referred to as the “future Bishan”. It has the attributes of Bishan – a new estate fairly close to the CBD, with highly regarded schools. HDB BTO flat launches at Bidadari are priced at a premium but still many times over-subscribed. Bidadari is envisioned as a “community in a garden” with scenic walks, and homes set in landscaping. 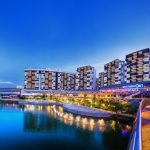 It is designed around the 10 ha (over 1 million sq ft) Bidadari Park that includes the new Alkaff Lake, named after the Arab family who built Alkaff Lake Gardens in 1929. Park Colonial buyers will be near the city centre, yet live in green surroundings that include a big park and a lake, with good schools nearby for their kids. 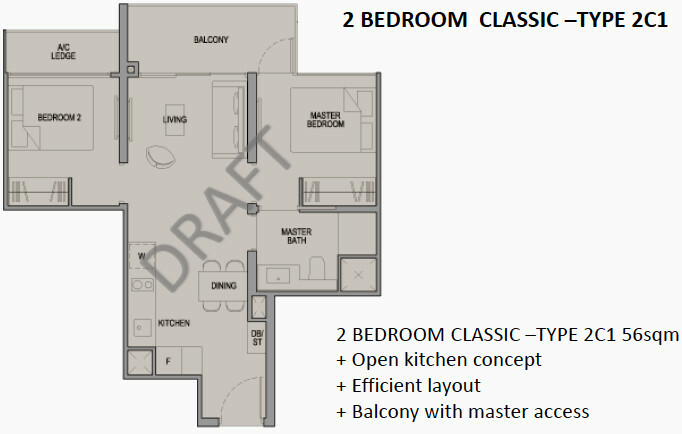 Kindly let us know via the Contact Form below if you would like the Park Colonial floor plans to be emailed to you. 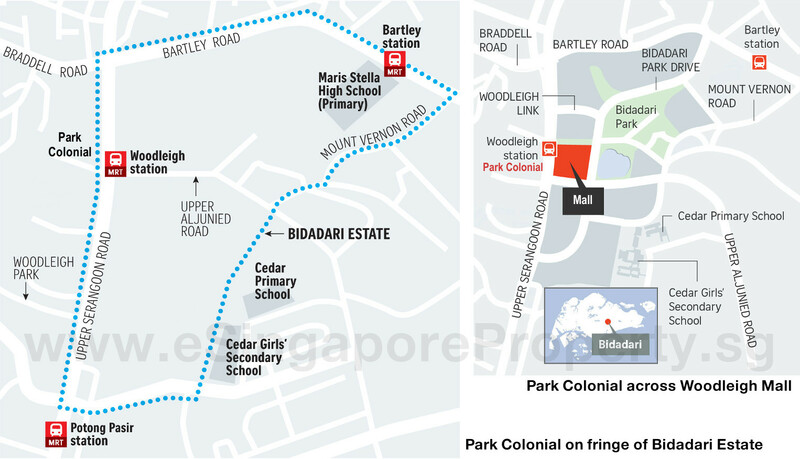 The Park Colonial site is next to Woodleigh MRT station, and adjacent to Bidadari New Town. It occupies a triangular plot of land that has quite a wide frontage. On its eastern side is Upper Serangoon Road, and the upcoming Woodleigh Mall & Residences. Its longest frontage faces north-west to the Avon Park condominium and surrounding land that is zoned residential. Running along its southern boundary is Woodleigh Lane, a small road. Across is the Stamford American International School, a low to mid-rise complex with fields that provide some open views to Park Colonial condo residents on mid to high floors. 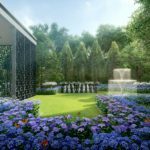 The Park Colonial site layout and landscaping is by Ecoplan Asia, one of the most creative and innovative landscape architects around. In this instance, a lot of thought and painstaking detail has gone into taking the theme of this project – Colonial Inspired Modern Living – and turning it into an inspired reality. The Park Colonial condo showflat is now taking viewing appointments. Please let us know via the Contact Form if you wish to book a viewing of the Park Colonial showflat. Solid timber flooring to bedrooms; homogeneous tiles to rest of unit. Marble flooring to living / dining areas of 4 Bedroom Deluxe and 5 Bedroom. Fully fitted kitchens, including hob, cooker hood, oven, fridge and washer-dryer. 5 bedroom units get additional wine-chiller. Kitchen appliances – Bosch and Whirlpool. Bathroom fittings – Roca and Grohe. Standard unit floor to ceiling height – 2.8m. 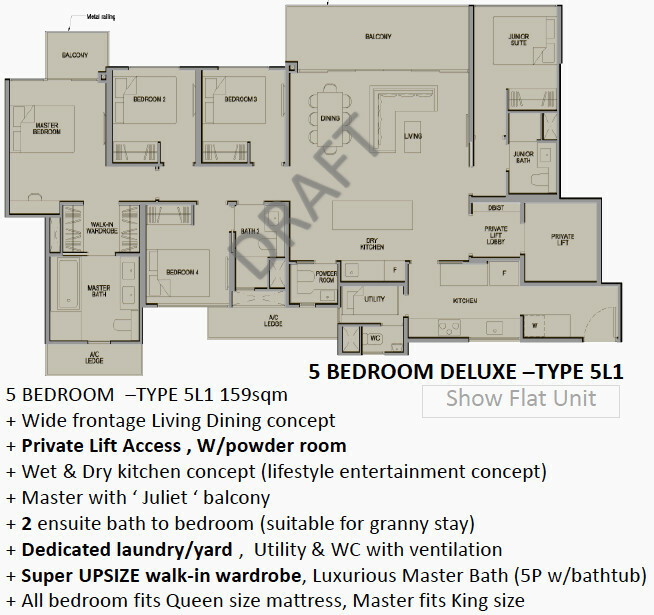 Top floor loft unit – 4.7m. 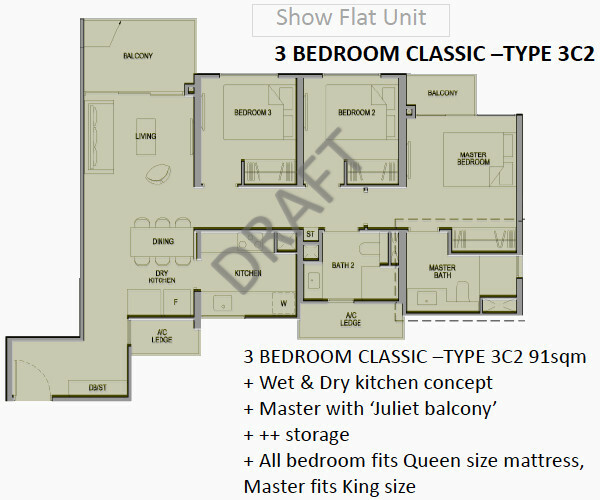 Top floor units come with one furniture deck (in a bedroom) with 2.1m headroom. Park Colonial prices as at 15 November 2018. Over 67% sold. CEL Development reserves the right to increase prices subsequently. Please drop us a note below if you wish to know the latest Park Colonial price details. CEL & Unique Development was awarded the tender for the Park Colonial site at a winning bid of $700.7 million. 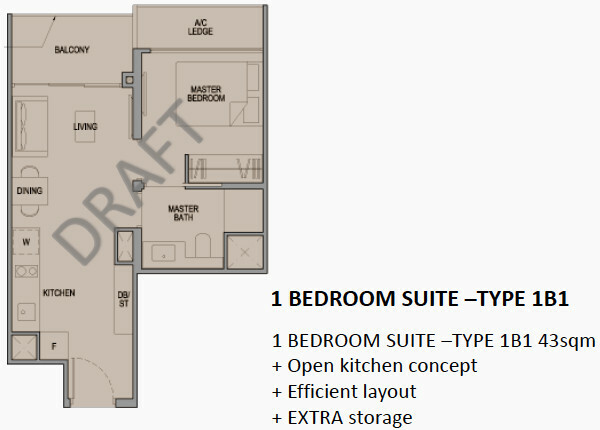 This translates to $11,948.99 per sq m, or roughly $1,110 per sq ft per plot ratio (PSF PPR). The top 4 bids were very close, all coming in within a tight 3.6% range. This implies a fair bit of consensus as to the value of this site, and what it should sell at. At this tender price, break even cost is around $1,650 PSF. For a fair margin, selling price should be above $1,800 PSF. This seems fairly in line with the current market, that is seeing $1,350 PSF at the outskirts of Tampines, and strong sales too at Park Place Residences, Paya Lebar MRT at $2,000 PSF recently. 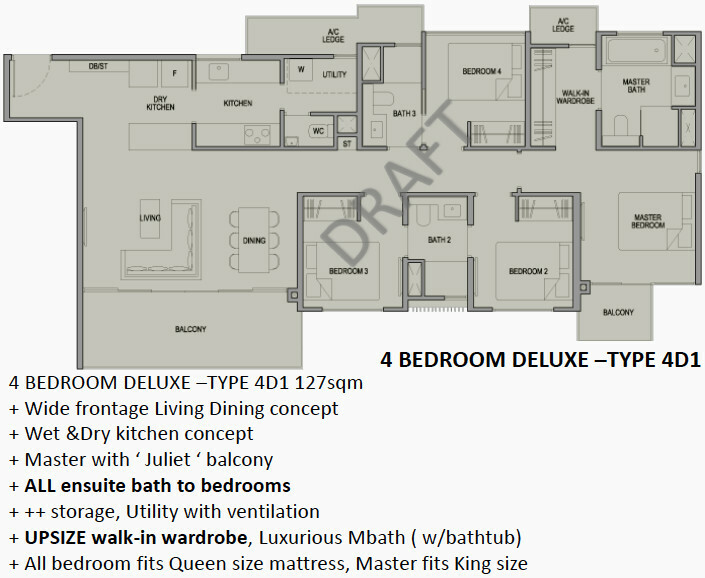 Note that when an average PSF pricing is mentioned for project, it normally refers to the 3 bedroom units. Smaller units, like the one and 2 bedders, would typically command a higher PSF pricing than the average for a project. Units at Park Colonial condo will be supplied and installed with FERMAX wireless Smart Home features comprising the following items. The make, model, brand, design and technology of the Wireless Smart Home System installed in the unit may differ from the above illustration and are subject to change. Terms and conditions apply. Buyers shall liaise with the smart home vendor instead of developer for all arrangements for the set up and configuration of, and for any queries, defects, maintentance and/or upgrade issues with the Wireless Smart Home System at buyers’ own costs. Park Colonial Singapore is being developed by CEL Unique Development, which is 60% owned by Chip Eng Seng Corporation, and 40% by Unique Real Estate. 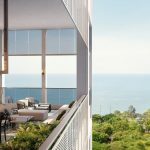 Unique Real Estate is a joint venture between Heeton Holdings and KSH Holdings. CES is a mainboard listed public company on the Stock Exchange of Singapore, with over 30 years experience in the construction industry. Over the years, it has built a reputation and track record as a specialist in high-value contracts, and in “Design & Build” turnkey projects. CES places a strong emphasis on solid ethical practices and building quality homes. With its experience and expertise, it has mostly completed its projects on or ahead of schedule without compromising quality. CEL Development PL (CEL) is a wholly owned subsidiary of CES, spearheading the Group’s property development and investment business since 2000. The current portfolio of CEL ranges from residential to commercial and industrial properties, and includes mid-market and high-end prime properties. With projects and investment interests in Singapore, Australia and Vietnam, CEL has chalked up impressive growth in recent years. Completed projects include Grange Infinite, Fulcrum @ Fort Road, Ventuno Balmoral, Alexandra Central, My Manhattan, and CityVista Residences, amongst several others. Heeton was established in 1976, and has been listed on the Singapore Exchange since 2003. It is engaged in property development and property investment in Singapore and overseas. 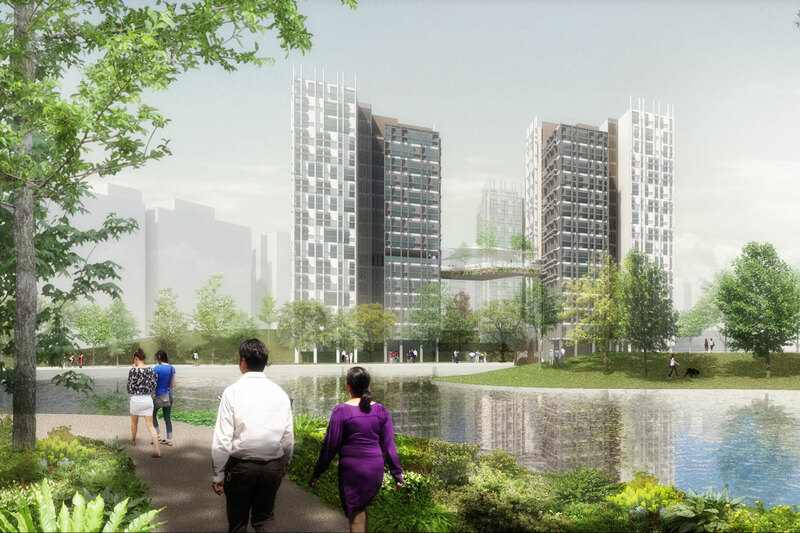 The Group has a niche focus of developing high quality homes in Singapore’s prime districts. Completed properties include The Element@Stevens at Steven Road, DLV at Dalvey Road, and semi-detached and detached houses along Holland Road. Heeton also undertakes property development both locally and in the region, in partnership with other established developers. 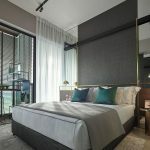 Such joint-venture projects include The Lumos at Leonie Hill, The Boutiq at Killiney Road, Lincoln Suites off Newton Road, and Twins at Damansara Heights, KL. The Group prides itself on building unique homes of international standard. 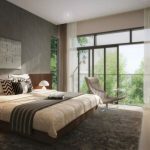 In testament to this, Heeton brought in YOO Inspired by Starck, a world-renowned design company co-founded by designer Philippe Starck, to design the interior and gardens of iLiv@Grange. KSH is an established construction and property investment and development company set up in 1979, and listed on the Mainboard of the SGX-ST in 2007. It is an A1-graded contractor, able to tender for public sector construction projects of unlimited value, with an established record of handling projects across a wide spectrum of industries. KSH has won several BCA Construction Excellence Awards such as for Madison Residences in 2014, NUS University Town’s Education Resource Centre in 2013, and Fullerton Bay Hotel. Through joint ventures, KSH’s investments and property development covers a whole range of residential, hospitality, commercial, and mixed-use developments. Besides executing projects, it jointly acquires property including Grade A offices in Singapore, and other countries like China, Malaysia, Australia, the United Kingdom, and Japan. Location. 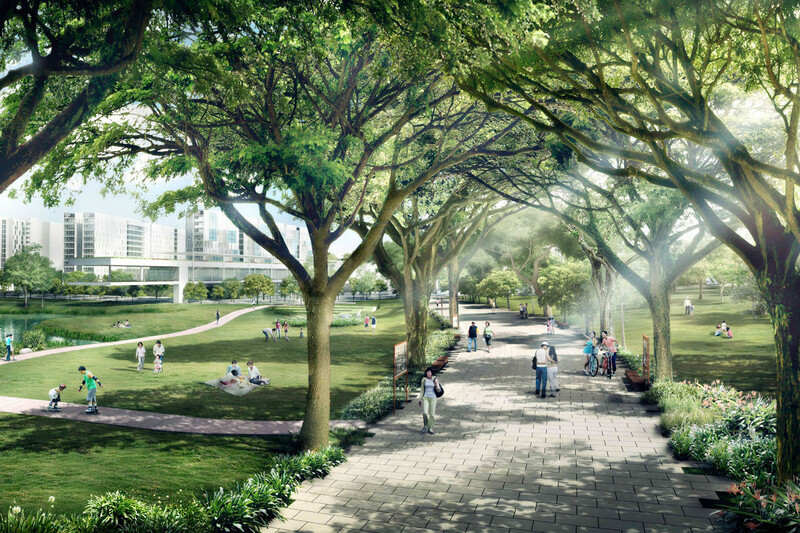 The Park Colonial location is adjacent to the new Bidadari estate that is part of Toa Payoh town. 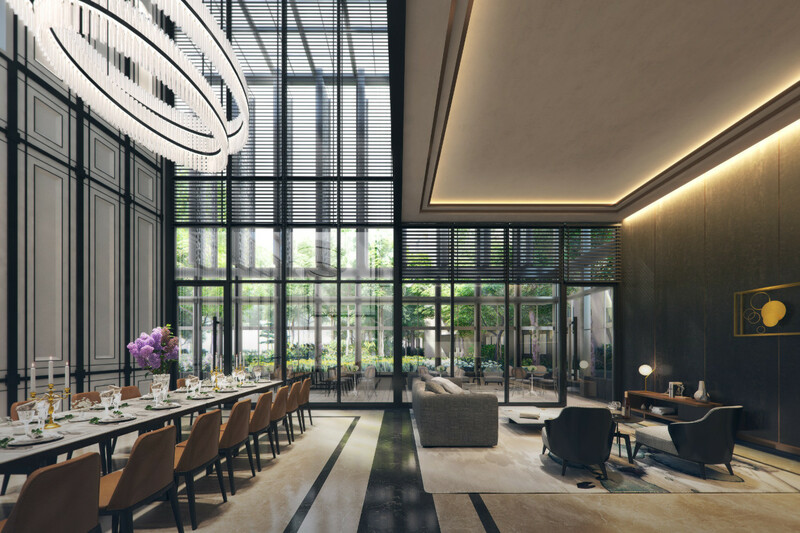 Bidadari spans 93ha, just over 10 million sq ft, in the area bounded by Sennett Estate, Upper Serangoon Road, Bartley Road, and Mount Vernon Road. Shops, Banks, F&B, Supermarkets. 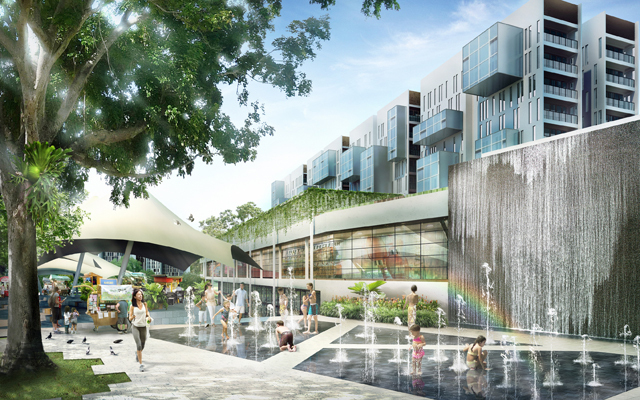 Park Colonial is directly linked via the MRT underpass to The Woodleigh Mall, a 28,000 sq ft retail development that will complete around the same time. It will provide residents here with a vibrant mall offering shops, F&B, and educational & medical services, in park-like surroundings. Close to that is Bidadari market square that will house a food court and basement bus interchange. In addition, being beside the Woodleigh MRT station means easy access to other shopping centres on the North-East line. Such as the huge Nex mall one stop up the line at Serangoon station, or Orchard Road 5 stops down the line at Doby Ghaut station. Lifestyle Amenities. A 5 minute walk will bring Park Colonial condo residents to Alkaff Lake, and the greenery of Bidadari Park. Another highlight will be the Bidadari Heritage Walk, that will be created to preserve the rich memories and heritage of the estate. Beautifully lined by a canopy of mature trees, the 700m long Heritage Walk will recall the history of Bidadari’s heritage and of prominent historical personalities in Singapore. Schools. The Park Colonial location will appeal to parents looking for good primary schools within the important 1 to 2 km radius. It is within 1km of Cedar Girl’s Primary School, and parts of it are within 1km of Maris Stella and St Andrews Junior schools (and their respective secondary schools). It is also within 2km of Kuo Chuan Presbyterian Primary, YangZheng Primary, and Pei Chun Public School. “Green” Features. 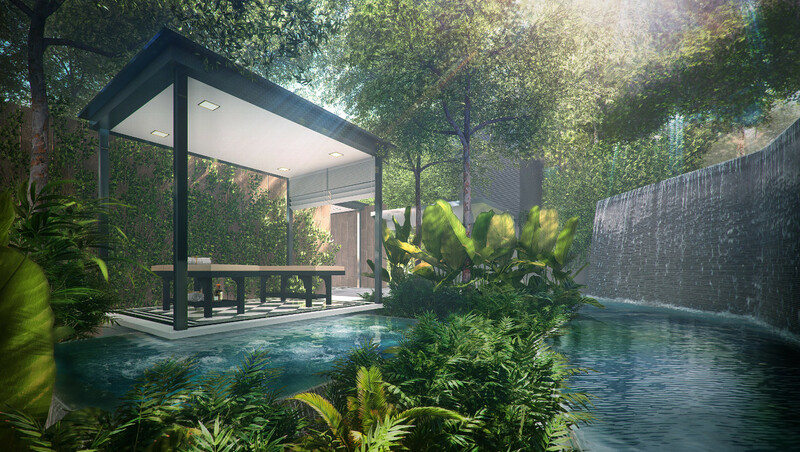 “Green” features have been incorporated into the planning of Bidadari. It will be “car-light” and designed to be safe and convenient for cyclists, to encourage cycling or walking rather than driving. 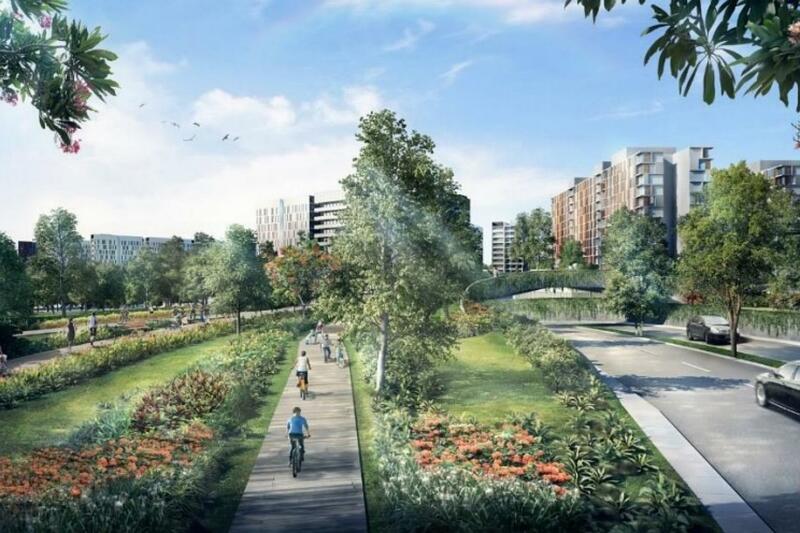 A 1.8km park connector will cut through the estate, part of a cycling route that will run from Punggol to Kallang. This Bidadari Greenway will act as a green spine fringing Bidadari Park Drive Road. Nearest MRT Station. The Park Colonial condo location adjacent to Woodleigh MRT station is a key advantage of this place. While there are many condos within 5 minutes walk of an MRT station, the number that are right beside one with direct links to it, are obviously limited. Many buyers and tenants are prepared to pay a premium for the sheer convenience of it. Accessibility. The Park Colonial location is pretty central, and in fact considered a Rest of Central Region (RCR) location. It is 5 to 10 minutes drive to the Pan Island Expressway, that provides access to the other expressways around the island.